The job market has become highly competitive, skilled workers can afford to pick and choose where they want to work. Companies are creating flexible office spaces that are comfortable, creative, productive, and environmentally conscious in order to make themselves more appealing to potential employees. Common additions include lifestyle elements such as child care services, healthy food, spas, gyms and other exercise spaces. These spaces also allow better access to innovators, talent and to reduce real estate costs. 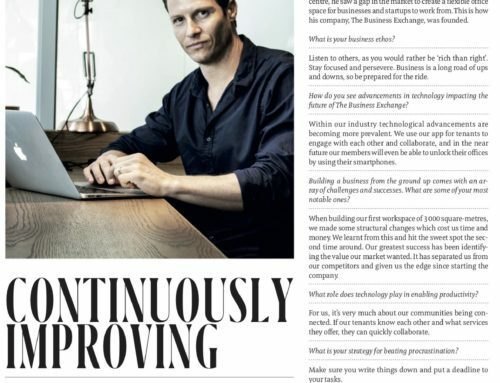 “This is a very exciting time to be a business owner,” says Michael Baretta, managing director of [dot]GOOD, South Africa’s first and foremost cause-marketing agency and tenant at The Business Exchange in Rosebank, a flexible office space in Johannesburg. “With a staff contingent that fluctuates between 20 and 50, flexible office spaces allow us to ebb and flow as we need. For-good marketing also requires high levels of collaboration and creativity; which these spaces are perfect for,” he continues. 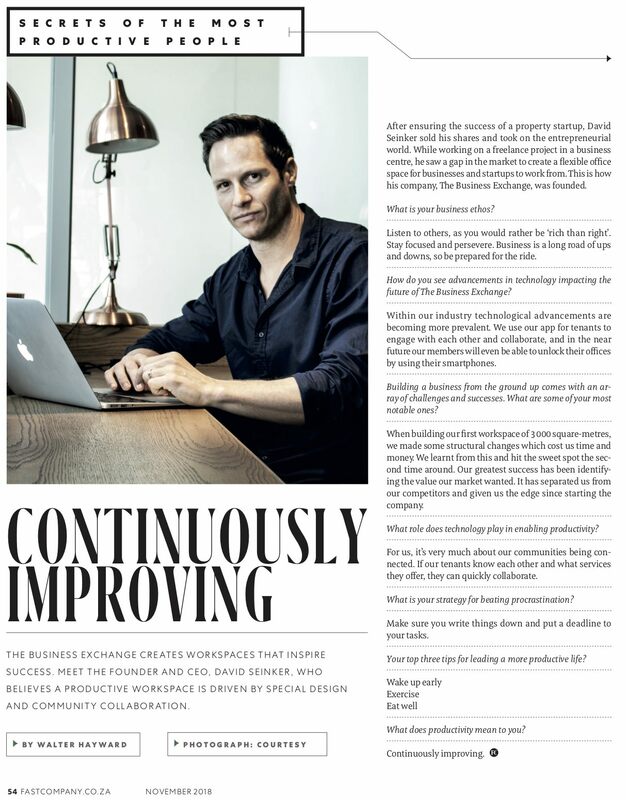 “I think that work spaces have come to reflect our cultures, behaviours and norms as a business. The office design and structure are incredibly important features which promote certain kinds of work and behaviour. As the nature of our work is knowledge-based, innovative and collaborative, we needed a workspace that mirrors the way we conduct business,” says Baretta. “One of a company’s most important resources is its employees. The incoming workforce is incredibly concerned with feeling good about the work they do,” says David Seinker, founder of The Business Exchange. 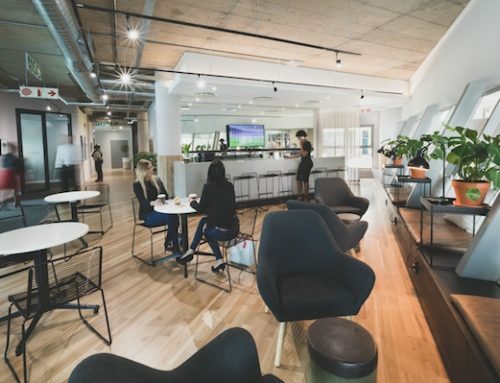 “The latest flexible workspaces are employing millennial-pleasing technologies such as LED lights, recycling, new-age aircons and water supply plants to be more environmentally sustainable,” he says. “All The Business Exchange buildings have been ‘Green Star Rated’. The Green Star Rating is a system that has recently been launched in South Africa, where buildings are rated on how environmentally sustainable they are,” he continues. “The business world has long been viewed as static, and beyond reproach. Flexible office spaces are changing the narrative by making employee’s happiness a priority, ” concludes Baretta. * Revesencio, J., 2015. Why Happy Employees Are 12% More Productive, California: Fast Company. [dot]GOOD is South Africa’s leading for-good marketing and PR agency. They engineer platforms and opportunities for brands and not-for-profits that reach organisational objectives, whilst giving back at the same time. Their mission is to create a community of social change makers that are driven by purpose as much as they are by profit. The Business Exchange is located in Rosebank Central, Rosebank CBD, Morningside and Sandton Central. 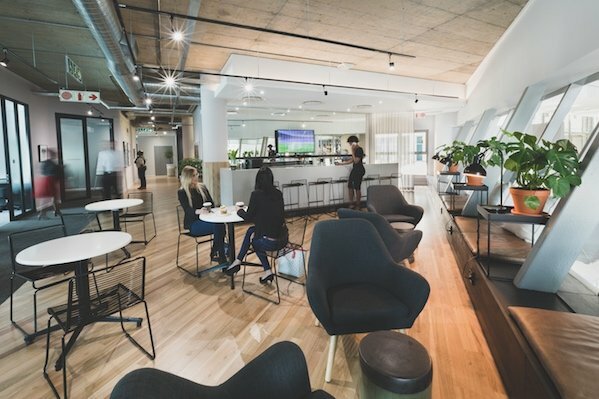 They provide cost-effective membership and co-working offerings, which means travelling employees are able to access any of locations around the country. If you’re looking for fresh talent, the collaborative energy at TBE is the perfect resource to tap into. You’ll get access to the TBE app, which allows you to connect with an entrepreneurial ecosystem of members – as well as book conference and boardrooms and seek assistance from on-site managers. Ultimately, it’s about providing inspiring spaces that allow your employees to work with purpose. The companies who realise this will own the future – and at TBE, they already do.